Wifaqul Ula­ma urges Mus­lims in Britain to attempt to sight the Moon for Ramaḍān 1440 on the evening of SUNDAY the 05th of MAY 2019. This will be the 29th of Sha‘bān 1440. Moon sight­ing results should be report­ed to Wifaqul Ula­ma, you can noti­fy us via our Email, Twit­ter, Face­book or by call­ing +447956589613. The New Moon con­junc­tion time is at 22:45 (UTC) on the 04th of MAY 2019. Sight­ing will not be pos­si­ble on that day. The day after Sight­ing will be pos­si­ble with the naked eye in areas shown in GREEN and MAGENTA. Sight­ing will be pos­si­ble with Opti­cal Aid in areas shown in BLUE. Moon­set: There is no equip­ment which can be used to sight the Moon once it’s set, its gone! Sim­i­lar­ly Moon can­not be sight­ed a few min­utes after sun­set. Make sure to look at moon­set and ensure that there is suf­fi­cient lag­time (moon­set – sun­set) for you to able to sight the cres­cent. This is because the cres­cent is thin and bare­ly lit while the sun­light is bright and the thin cres­cent can­not be seen in the pres­ence of (bright) sun­light. Let us make this impor­tant point again. There is no fil­ter, no binoc­u­lar, no tele­scope which will let you sight the Moon which sets 2,4, or 6 min­utes after sun­set, its impos­si­ble! Moon has to be in the sky for you to sight it. Sun: Do not look at the sun direct­ly with your eyes or with your binoc­u­lars, cam­era or tele­scopes with­out an appro­pri­ate solar fil­ter. Your tele­scope and DSLR cam­era can heat up and be dam­aged with­in min­utes if you try to focus on the sun. Put a solar fil­ter in front of your (auto­mat­ic) tele­scope or binoc­u­lars and then track the sun as it sets to get ready to sight the cres­cent. Moon: It is eas­i­ly vis­i­ble in the sky if the hori­zons are clear. You do not need to dri­ve hun­dreds of miles for moon­sight­ing, a good van­tage point such as the roof of the Mosque is suf­fi­cient. Azimuth: You need to know the Azimuth of the Moon at a giv­en time. You can watch the video below and obtain the exact loca­tion of the Moon. Azimuth is the direc­tion of the Moon. The human eye is great bless­ing and mar­vel of Allah’s cre­ation. How­ev­er as we age the size of the pupil (which varies) between peo­ple gets even small­er. Our pupil is at its best between the ages of 21–29 (on aver­age) and it is (approx­i­mate­ly) 7.0 mm in aver­age humans, keep this fig­ure in mind. Human eye has remained the same in thou­sands of years but (light) pol­lu­tion has increased tremen­dous­ly in our sur­round­ings. The sci­en­tif­ic advance­ments are in opti­cal Aids and mag­ni­fi­ca­tion so here is a sum­ma­ry of tools which you can use to assist you in sight­ing of the cres­cent. You need to pre­pare for sight­ing of the cres­cent before sun­set. Select your loca­tion with an excel­lent van­tage point and get to the loca­tion before sun­set. You need to observe the sun­set and record the loca­tion. Cres­cent is vis­i­ble in the same (approx­i­mate) area of sun­set (to the right or left). Remem­ber that after moon­set, the cres­cent is no longer on the hori­zon to be seen. Your eyes need to get used to the sur­round­ings and air tem­per­a­ture and it takes about 15–20 min­utes for your eyes to adjust. You need the fol­low­ing tools to be able to track the posi­ton of the cres­cent, some of these apps are avail­able on Android while oth­ers on Apple. You need to use them well before you actu­al­ly try to sight the cres­cent to get used to how they func­tion. Your phone (or device) needs to have the right hard­ware, for exam­ple take a look at the com­par­i­son between a LG G6 and Moto G5S Plus. Moto G5S Plus does not have a com­pass which severe­ly lim­its the use of this phone with some of the apps giv­en below. Stel­lar­i­um: Stel­lar­i­um is a free open source plan­e­tar­i­um for your com­put­er, use the free ver­sion and there is no rea­son for you to pay for it. Sky View Cafe: Sky View is an online por­tal to obtain all the nec­es­sary tech­ni­cal data for the sun and the Moon. Google SkyMap (Andorid): This App is suf­fi­cient on an android phone to track the Moon. SkyView® Lite (iPhone): This App is suf­fi­cient on an iPhone to track the Moon. Luna­Sol­Cal (Andorid): This App is suf­fi­cient on an android phone to track the move­ments of the Sun and the Moon. Luna­Sol­Cal (iPhone): This App is suf­fi­cient on an iPhone to track the move­ments of the Sun and the Moon. Lunar Phase (Android): This App is suf­fi­cient on on an android to track the Moon. Azimuth Com­pass (Android): This App is suf­fi­cient on an android to track the Moon. Com­man­der Com­pass GO(iPhone): This App is suf­fi­cient on an iPhone to track the Moon. Ful­ly Coat­ed/­Mul­ti-coat­ed/­Ful­ly Mul­ti-coat­ed: This is the anti-reflec­tive coat­ing on your binoc­u­lar and buy the best coat­ing your mon­ey can buy. There is no uni­ver­sal def­i­n­i­tion of coat­ing but check to see that you have full coat­ing (at least). Por­ro Prism: Pur­chase the binoc­u­lars with Por­ro prims instead of Roof prism for Moon­sight­ing. BaK4: Pur­chase the binoc­u­lars with BaK4 instead of BK7 for Moon­sight­ing. Stay away from cheap Ebay/no-name binoc­u­lars even if they claim to have all of these fea­tures! The Cele­stron Sky­Mas­ter (15 x 70 or 25 x 70 or 20 x 100) are excel­lent choic­es for your needs. You need to keep in mind that all of these The Cele­stron Sky­Mas­ter (15 x 70 or 25 x 70 or 20 x 100) are heavy and your hands will get tired very quick­ly. Your hands will also shake so buy a cheap­er Sky­Mas­ter (binoc­u­lar) which is lighter or if you choose to buy a more expen­sive mod­el, buy a tri­pod stand (with an L adap­tor). 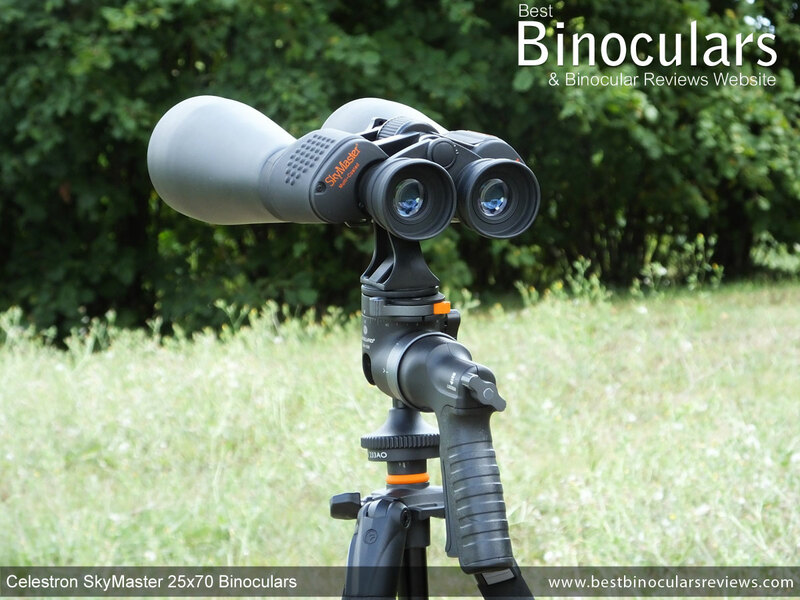 Leave your binoc­u­lars out in the open with all caps tak­en off for 15–20 min­utes before you begin to sight because the lens needs to get used to the tem­per­a­ture of the air and sur­round­ings. 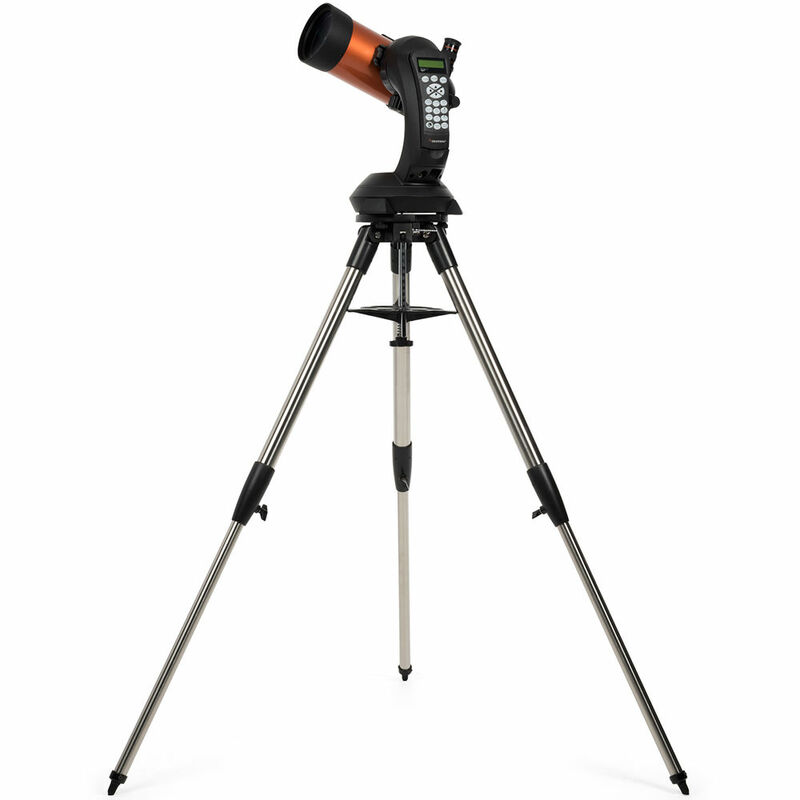 SKY WATCHER SKYLINER 200P is an excel­lent Tele­scope and you can buy a used one (on Ebay) for under £100.00. It is man­u­al and you will need to build a plat­form to raise it high­er as it will be low and your back will get tired. 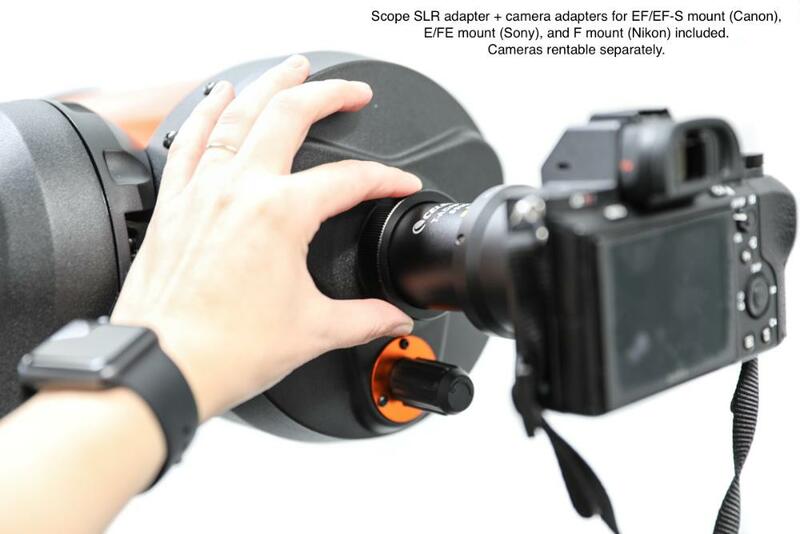 The Tele­scope comes with a tri­pod and you can eas­i­ly move it around to focus on the right areas. The big­ger the tube of the Tele­scope, the more light it lets in and you will get bet­ter vision. These Tele­scope have a GPS and a data­base and they will auto­mat­i­cal­ly move and focus on an object once you have them prop­er­ly aligned. 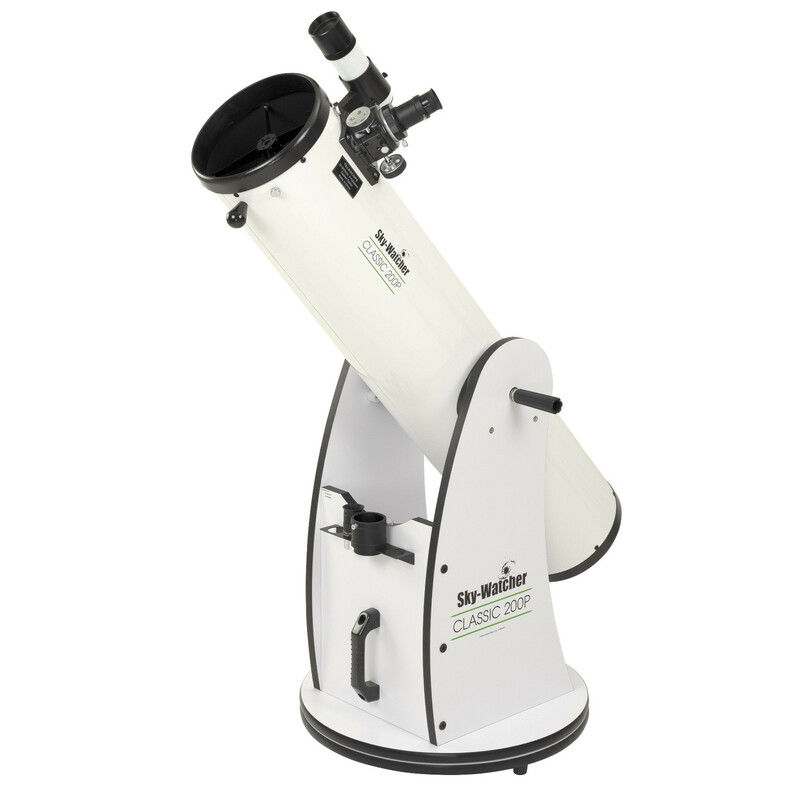 Stay away from cheap Ebay/no-name tele­scope even if they claim to have all of great features!The best for Moon­sight­ing (at bud­get prices) is Cele­stron 11049 NexS­tar 4 SE and more than suf­fi­cient for your needs. 5 SE, 6 SE and 8 SE are 5 inch, 6 inch and 8 inch tubes are more expen­sive but the elec­tron­ics are the same. Leave your tele­scope out in the open with all caps tak­en off for 15–20 min­utes before you begin to sight because the lens needs to get used to the tem­per­a­ture of the air and sur­round­ings. Your phone has a good enough Cam­era to take a pic­ture but it may not be good enough for low-light con­di­tions. Hold your phone against the lens and take a pic­ture. 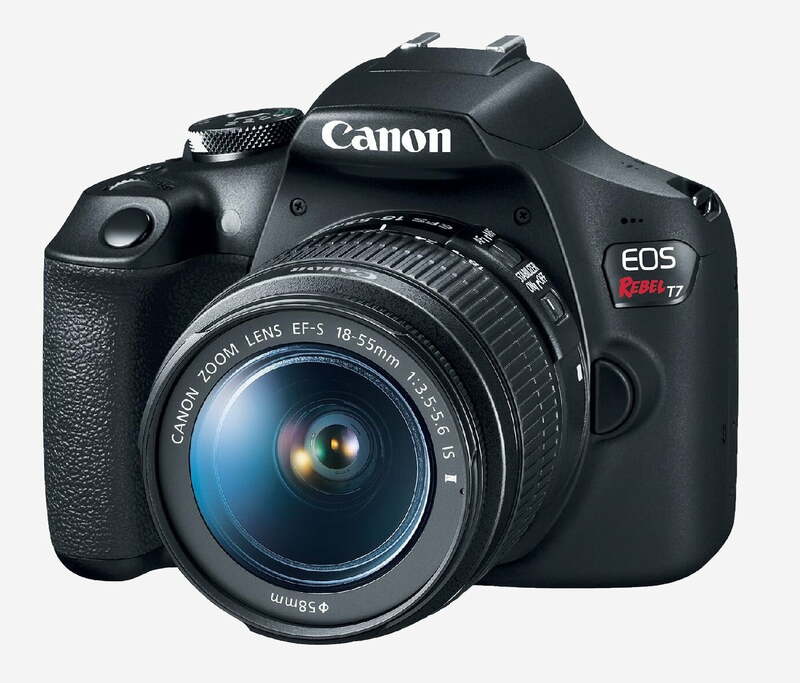 You can buy a Nikon (D3400) or Canon EOS Rebel T7 / Canon EOS 2000D with a stan­dard lens and it will con­nect to the back of your tele­scope via an adap­tor (which you need to buy sep­a­rate­ly). Your DSLR Cam­era can con­nect to a lap­top using a stan­dard HDMI cable. This means that you can look at the images on a huge screen instead of through a small eye­piece. You can also zoom your images etc.